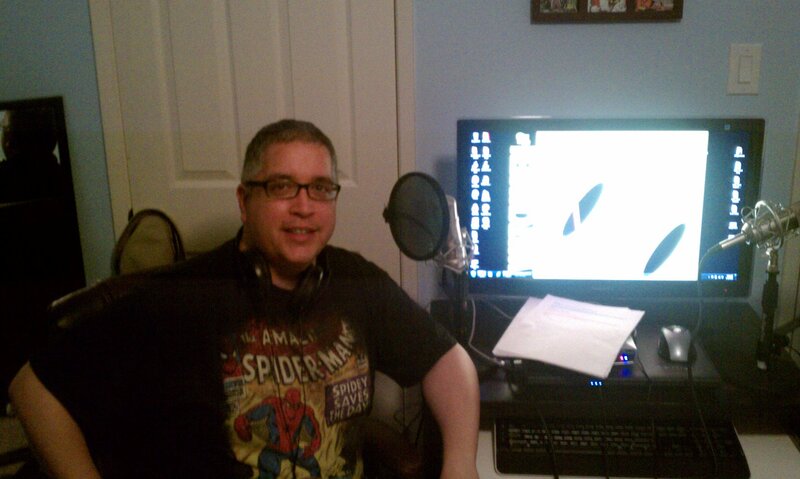 Here I sit, waiting to record my very first podcast in 2011. Podcasting is a thrilling and fun way to share your opinions, humor, knowledge and shtick, or lack thereof, with a world-wide audience without having to take a single course in broadcasting. The advice I’ll impart here comes straight from my personal experiences recording a weekly podcast and these can sometimes be the more grueling parts about producing a show. Recording a podcast is fun. Producing a podcast is work. While my experience is in producing a comic book news and review show, I believe you’ll be able to glean some insight into podcasting if your subject matter isn’t centered on the funny books. Let’s begin. Prior to getting started I listened to a number of podcasts because I wanted to get a feel for what works and, as you might guess, what doesn’t work. There were two things that stood out in my research that bothered me about lesser quality shows. First, there was a preponderance of aimless discussion that came off more as an obligation to say something. There is a fine line between telling a story and rambling. Second, there was a lack of preparation. There’s nothing wrong with not being able to immediately recall Brian Michael Bendis’ first issue of “The Avengers”. However, if you are reviewing an issue of “The Avengers”, you ought to know the names of the creators involved. After listening to a number of good (and not so good) podcasts, I walked into the development of my show knowing what I didn’t want to do. It was time to figure out what I wanted the podcast to be. Just so we’re clear, the first rule is not authorization to copy other podcasts. When you begin noodling on an idea, make sure it’s your own. If you decide that you’re going to do a review show with three hosts discussing the books that were released the previous week, you run the risk of imitating something someone else is already doing. If that’s the show you want to produce and you believe you can distinguish yourself from iFanboy’s popular comic review podcast, then have at it. I strongly suggest doing some soul-searching to consider the type of show you would want to listen to. Don’t limit yourself to what already exists. For my show I drew my inspiration from a few different places before deciding on what it would become. I grew up watching the old “Siskel & Ebert” movie review show with my dad and liked the idea of having a back and forth discussion on a handful of new comic books. Because I voraciously follow comic book news, I thought it would also be interesting to present recent comic book related news and share opinions with my co-host. As a fan of “Live with Regis and Kelly” (your inspiration can come from anywhere), I enjoyed the banter of the co-hosts before the show started and, since I was hosting a show with one of my best friends, I knew that we would have a similar chatty chemistry. Again, don’t limit yourself to what already exists. Think about what you like to talk about and begin to shape that into the idea for your show. Once you have an idea, next you’ll need to develop a structure. It’s been my observation that there are two schools of thought on comic book podcasting. The first being that the producer treats the podcast like a television show or radio program and the show has a structured format. For my taste, this is the desired approach because your audience ought to know what it is getting when they tune in. The second is a sort of free-form rambling recording about any number of comic-related topics that ends whenever the hosts choose to finish. The latter format is not my cup of tea so I really can’t speak to producing such a show. I. Show opening. A quick tease of the books and news that would be discussed. III. Intro to show. A quick description of the show and an introduction to the hosts. VII. Closing comments. Rundown of where to find us on the web and through social media. By following a set format, your show will sound like a show. Without a structure your audience is left in the dark. When I listen to a podcast and the hosts go right into talking without explaining what the show is about, I give it about five minutes before I turn it off. This is my co-host Jerry Ahern and I recording an early episode with the utmost exuberance! Do You Have a Co-Host? Usually if you’re thinking about recording a podcast it’s because you and at least one buddy are certain you’d be good at it. I’ll let you determine how much chemistry you have with one another. To succeed, you’re going to need to get buy-in from your co-host on all facets of the show, from format to scheduling. Make sure you and your co-host are clear and realistic about what the commitment to a regular show is going to mean to your personal lives, whether it comes out weekly, biweekly or monthly. If you aren’t in agreement about scheduling before you start your show, you may find yourself hosting a short-lived podcast. Be prepared for the occasion that you or your co-host will not be able to record the show. My recommendation is to have a back-up or be willing to record the show solo if need be. Unless you’re certain that you have a suitable substitute who can carry a compelling conversation, don’t just have anyone fill your co-host’s shoes just because you need a warm body. Some people can do “off the cuff” really well. It isn’t my forte. From iFanboy to Word Balloon, my favorite podcasts have a script in which the hosts introduce the show and explain, however briefly, what the show is about. The result is a podcast that sounds professional and explains the podcast’s purpose in about ten seconds. It ain’t Shakespeare, and it doesn’t need to be, but it’s simple and tells listeners what they are about to hear. There are folks who can get in front of a microphone and just talk and be thoroughly charismatic. If you are concerned that your name isn’t Kevin Smith or Howard Stern, I would suggest writing notes before you start recording. If your plan is to talk about a number of subjects, it will be that much more difficult to recall all of your points during the course of your recording. Try to prepare three to five things that you’ll want to say about each subject. Doing so will serve as a safety net when your mind eventually goes blank (which it can do at the most inconvenient times). Don’t be overly concerned about your notes being eloquent; they’re just talking points. Having notes will enable you to make substantive observations during the recording of your show. I once heard a podcaster say, “I can’t even tell you why I love this book… but I love it!” Quality notes can prevent you from making similar thoughtless statements. If you love something, it’s fine to say you love it. However, you should always be prepared to quantify your opinions or listeners will search for someone who can. Editing is a necessary evil, but your show will benefit from smart snipping. It’s also the reason you’ll want to keep your show under an hour. The lulls in conversation, the joke that falls flat, and the not-fully-realized-idea-that-goes-nowhere all deserve a home on the cutting room floor. What you might refer to as a “naturalistic vibe”, I call a painful and uncomfortable listening experience. Tighten your show up with snips and cuts in the right places. Editing can feel like a thankless task after a couple of hours, but it will make your podcast infinitely more listenable. It isn’t essential to post your podcast at the same exact time every week, but there should be regularity to when it is released. If you’re like me and you have a job that keeps you busy throughout the week, Sunday works best because you can schedule prepping and recording leading up to the time you post the show. Don’t make it a chore for listeners to find you. It’s fine to be late once in a while if your schedule gets hairy, but don’t post it whenever you get around to finishing the editing. Post the show on a set schedule so that your listeners have a general idea when your podcast is going to be available. Are you worried that your show isn’t going to be as good as your favorite podcast? Maybe it isn’t. So what? If you think you have an interesting point of view and that people are going to want to hear what you have to say, then who cares if you aren’t as good as other podcasters? I can promise that your first show won’t sound as good as you tenth, and your tenth wouldn’t be able to hold a candle to your twentieth. As you continue to record you’ll get more comfortable in your skin as a podcaster. Getting all of your points across while speaking directly into a microphone within a one to five minute time frame will eventually feel natural. Especially during the initial episodes, I recommend listening to your show with the critical ear you did when you conducted your research (if you followed my first piece of advice). Ask yourself what is working and what isn’t. If you’ve done the proper amount of work to prepare the show, then there should only be small tweaks to enhance the quality of your podcast. Getting prepared for recording may not be fun. Editing the show is even less fun. However, recording the show should be a blast. If you’re not having a good time recording your podcast then you may need to rethink your approach. This should be the least of your worries if you’re entering into a podcasting venture with a friend who has similar interests and a reasonable gift for gab. Well, this ought to be enough to chew on for now, but there’s still plenty more information to cover. In a follow up article I’ll discuss some of the technical aspects of recording a podcast, from finding a podcasting host to some of the equipment you’ll need. Okay, it’s time to get started. You have plenty of work ahead of you!